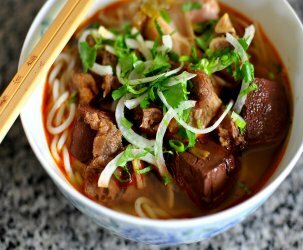 The all-day restaurant inside of The Manufactory was humming along when my girlfriend Thien and I arrived. 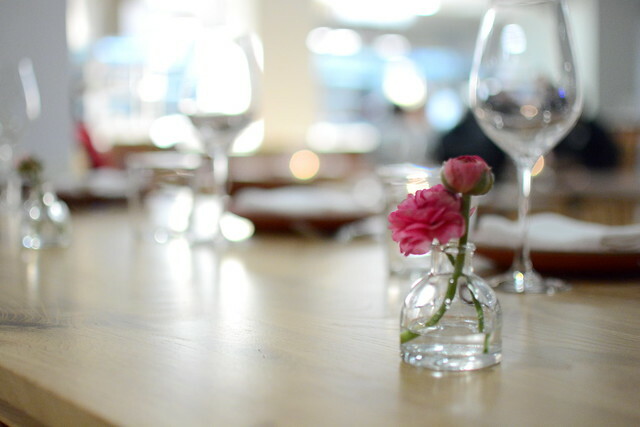 It took a while for us to be seated even with reservations, but that was to be anticipated given the circumstances. Similar to the original San Francisco location, the menu here is largely comprised of smørrebrods and tartines served on Tartine bread. Unique to the Los Angeles location are flatbreads from Chris Bianco of Pizzeria Bianco fame. 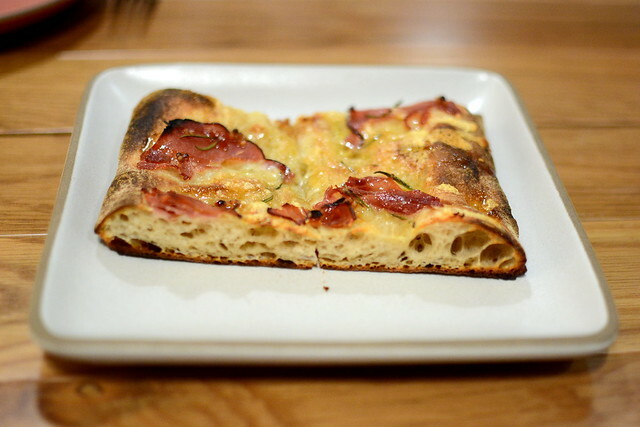 We started with a flatbread topped with honey, ham, and rosemary that was utterly fantastic. Also super-good was the chicken liver toast ($16). 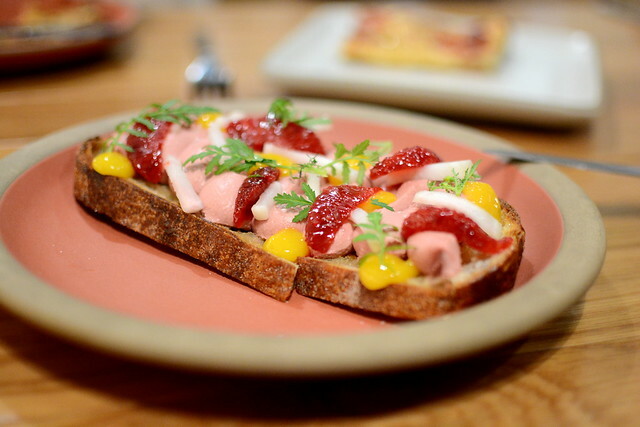 The base of the matter, a crusty slice of the restaurant’s famous bread, sturdily held onto the pretty pink liver, as well as dollops of kumquat puree and blood orange segments. This had to be the best bite of the night. The hits came early this evening but unfortunately didn’t continue. 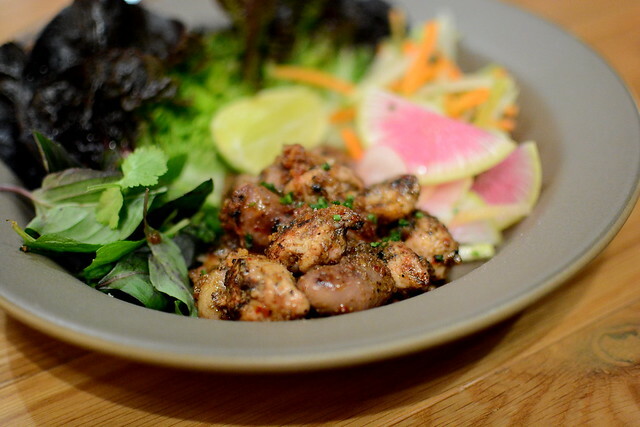 The grilled chicken oysters and hearts ($16), with XO sauce, mint, basil, and gem lettuce, tasted like watered-down Vietnamese food. Though the chicken was well-seasoned and tender, it ultimately got lost amidst the superfluous greenery. 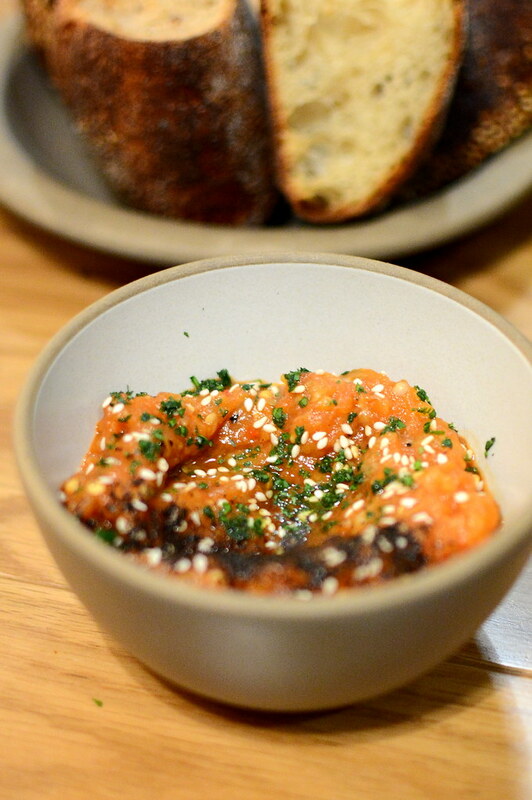 The eggplant dip with fermented red pepper ($8) was equally lackluster. We were expecting fireworks following the first two winning dishes, and the chicken and eggplant just didn’t deliver. 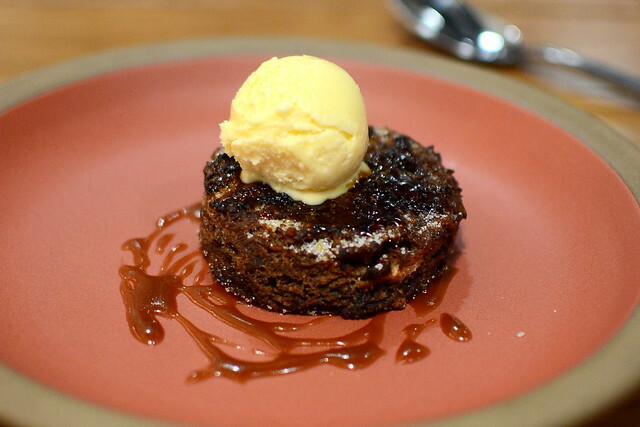 The final bite of the evening, a spiced date cake with brandy toffee sauce and orange Creamsicle ice cream ($13), wrapped up dinner sweetly. 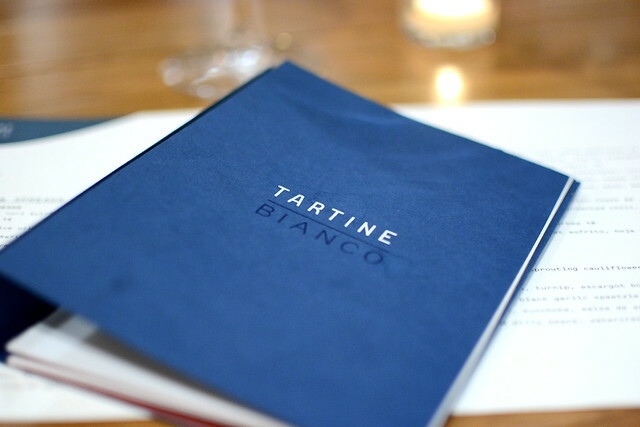 Given that the restaurant had just opened for business, I didn’t mind too much that dinner at Tartine Bianco wasn’t flawless from start to finish. 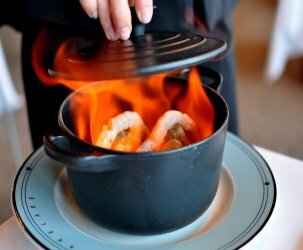 Our meal provided enough glimmers of awesomeness that I wouldn’t hesitate to return in the future to see how the menu and service evolve. But first, Alameda Supper Club! I also went to Pikunico and Tartine Bianco on the same day! Sad to hear your dinner was disappointing; we enjoyed our meal there (but got very different dishes). We also had to wait a bit for our table. Darin – We are clearly the #targetdemo! Tell me, what did you eat? I’ll be sure to order those next time. Whole hot fish was probably the highlight, and pork shoulder and brownie sundae were good too. I really want to try the flatbread though. 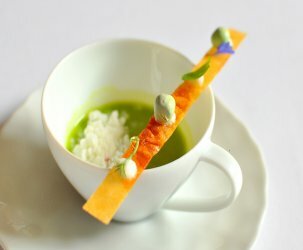 They don’t seem to offer it at the restaurant for dinner service anymore. They were out of the hot fish by time we arrived—DARN!! Flatbread is good, but given the Bianco pedigree…I expected something spectacular.